Texas Mazda store learns what’s necessary with relationship-building, sponsorships, advertising. With roughly 40,000 soldiers stationed at Fort Hood in Killeen, Texas, about an hour’s drive north of Austin, it must be like shooting fish in the proverbial barrel for a car dealership – right? Not so fast. As other dealerships near bases can attest, it’s often far from easy to penetrate the local military market. Sometimes it’s hostile territory, in fact. How is Mazda Killeen handling the struggles? Still, Burge’s dealership has made great headway with the Army base and has object lessons to offer other dealers around the country who covet military business. 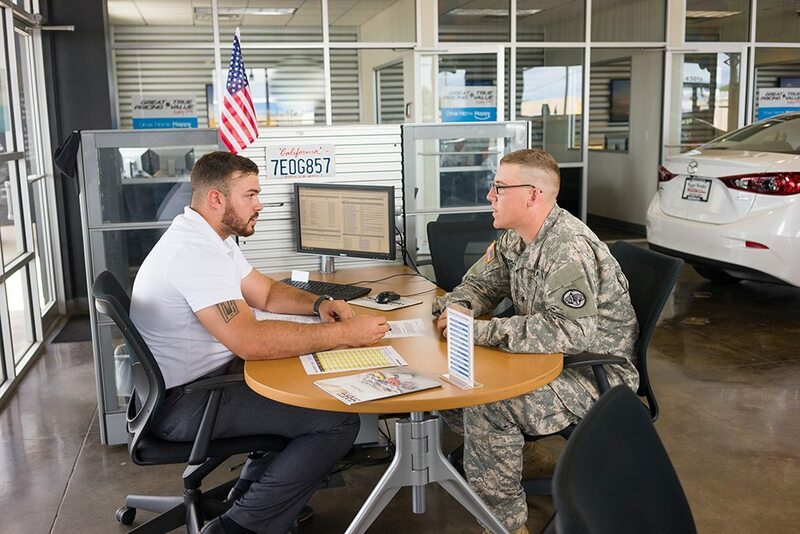 The dealership owned by Austin-based Roger Beasley Automotive has more than doubled its new car sales since 2011, the last full year under the former ownership, and 70 percent of its new and used units are bought by military. 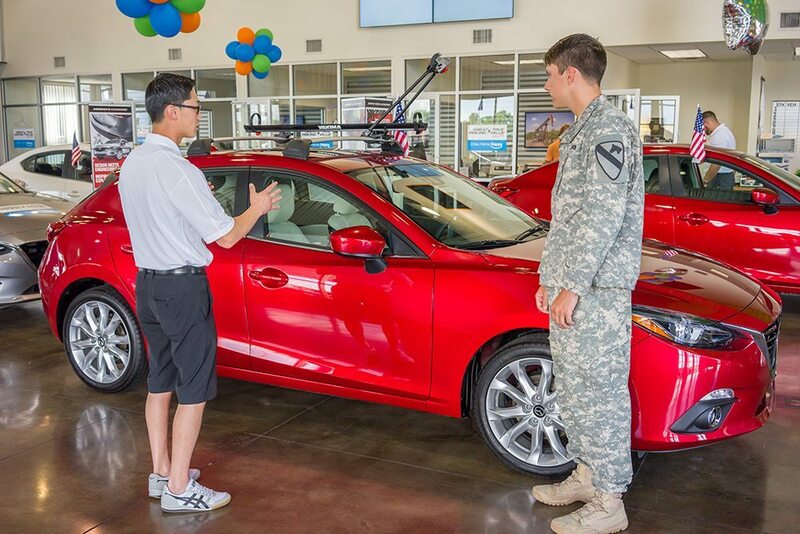 So, what marketing and pricing tactics get more U.S. military personnel (of whom there are 2.9 million on active duty around the world, not counting 825,618 in the National Guard and Reserves, according to the Department of Defense) into your dealership and buying a car? Especially since every other local dealership has the same ambitions. Mazda Killeen also got to know its customers by hiring former military. Burge estimated that 60 percent to 70 percent of his 21 employees are ex-military, and others are military spouses or grew up in military households. His military-savvy employees know the Army terminology, ranks and titles. His sales manager shows up at each of Fort Hood’s important, and sometimes quite elaborate, deployment ceremonies. The dealership, which posted 2014 vehicle sales revenue of $16.9 million, knows the danger that overselling poses to its long-term success. In the Army, a soldier having a problem with an off-base business is supposed to report it to the base’s consumer affairs officer. Get too many complaints, and the officer not only will talk with your business but might put it on the “off limits” list. “Nobody wants that, because you won’t be in business much longer,” Taylor said. Thus, forging a good working relationship with the consumer affairs officer is vital, and Burge is working on that. But, “you just can’t walk in and say, ‘Hi.’ They are real suspicious.” Taylor is trying to help Burge as a liaison. He also looks for sponsorship opportunities involving military retirees, civilian employees and spouses. An example is a 5K race to raise money for breast cancer research at which Mazda Killeen gave out 250 bags with water bottles, T-shirts and other branded merchandise. They also helped form a nonprofit called No DUI of Killeen, and the dealership provides at least one car each weekend so that off-duty soldiers can pick up military personnel who have drank too much alcohol. On an average weekend, at least 100 soldiers are driven safely home in a Mazda, according to Sgt. Mike Nuttall, who heads the effort. Plus, Mazda Killeen donates $50 from each sale to Wounded Warriors or other military-related charities. And, while most manufacturers offer a military discount, Burge said Mazda’s is more inclusive and further helps his dealership’s reputation. That discount is $500 discount for all active military, members of the Reserves or National Guard, and military personnel who have retired within the last two years.